Whether you’re on the East Coast or West Coast, you can have fun this weekend at an outstanding varmint match, shooting reactive targets for fun, glory (and maybe a little cash). Easterners — head down to Virginia for the Roanoake Egg Shoot. Westerners — navigate to the Pala Range near Oceanside in Southern California. In Virginia, the Roanoake Egg Shoot will be held Saturday, April 30, 2011 at the Roanoake Rifle and Revolver Club in Hardy, Virginia. This is a real test of shooter and equipment. You want challenge? Try hitting an egg at 500 yards. That requires a skilled triggerman (or woman) and a very accurate rifle. In addition to the 500-yard egg event, Roanoke also offers long-range plate shooting. 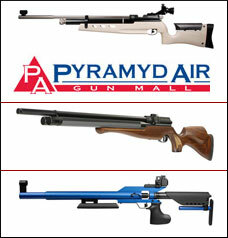 There will be three classes this year: 1) Factory Guns; 2) Hunter/Tactical; and 3) Custom Benchrest. The custom gun class will shoot 2″-diameter steel plates at 425 yards while the Factory and Hunter class guns will shoot 3″ plates at 425 yards. All shooting is from a 20-bench covered firing line. The entry fee is just $20.00 per gun/class entry. Pay $60.00 and you can shoot all three classes. Cash prizes will be awarded to the top shooters. For more info, contact Mark Schronce (540) 980-1582 rmschr@comcast.net or Epps Foster, (540) 890-4973. The club is located at 1305 Gun Club Drive, Hardy, VA 24101. GET DIRECTIONS. About 24 miles east of Oceanside, California (near the Camp Pendleton Marine base) is the Pala Reservation. On that Native American land you’ll find an impressive Casino Resort, plus an excellent shooting range. 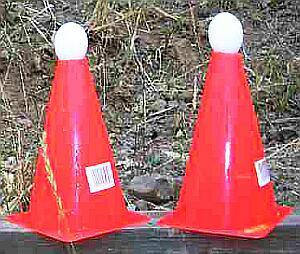 The first Sunday of every month, shooters come to Pala to enjoy a challenging Varmint Silhouette Match. At five different yardages, ten steel “critter” targets are set as follows: 200 Meters – Field Mice (“pikas”); 300 meters – Crows; 385 meters – Ground Squirrels; 500 meters – Jack Rabbits; 600 yards – Prairie Dogs. 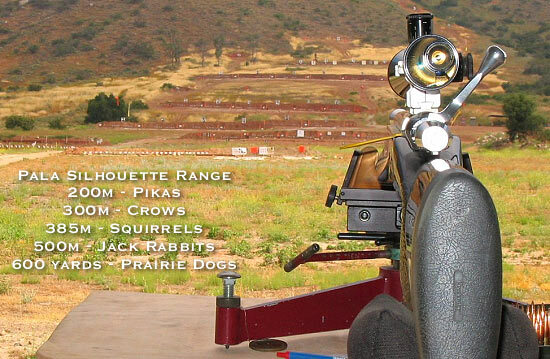 There’s a North County Shootist Association Varmint Silhouette match this Sunday, May 1st. You’ll need a very accurate rifle, and 80-100 rounds of ammo. You can shoot either rested prone (F-Class style), from bipod, or from a wooden bench with front pedestal and rear bag. Any rifle 6.5 caliber or under is allowed, with no weight restrictions. Muzzle brakes are permitted. There’s a one-hour sight-in period starting at 8 am, and the match starts at 9 am sharp. The folks at Pala run a tight ship, cycling multiple relays efficiently, so everybody gets to shoot 50 targets (10 each at five different yardages), and the show is usually completed by 1:00 pm. (Then if you want… head over to the Pala Casino for gambling fun, or a spa treatment.) CLICK HERE for Match Info. Share the post "Varmint Fun Matches on Both Coasts This Weekend"
If you’re a fan of the History Channel’s Top Shot series, but you missed the season finale, don’t despair. You can watch the full episode online and see who wins $100,000 and the title of “Top Shot”. We won’t reveal any spoilers here, but we can say that some dramatic surprises will unfold as you watch. Share the post "Top Shot Season 2 Final Episode Now on History.com Website"